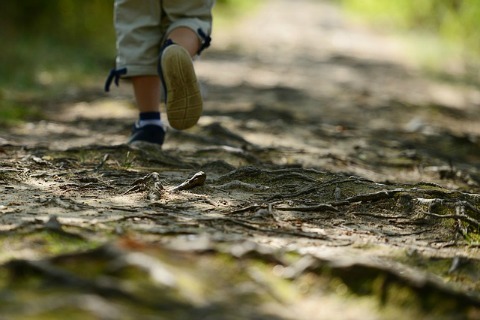 Preventing wandering is a top concern in the autism community because so many children are at risk. Here I outline steps you can take to protect your child. Some parents deal with this problem on a daily basis. I don’t know what could be more stressful and downright frightening. Some children with autism have never had a problem with wandering, and that’s great. But please don’t assume that if your child has never wandered or bolted from the house that he never will. As I related in the true story about Michael, there is a first time for everything. And if little Suzie has never run away from the house before and one day decides, in a fit of anxiety, that she just has to run, the result could be fatal. Sheila Medlam of Colwich, Kansas wishes every day that she had taken better precautions before her 5-year-old son Mason squirmed out of a window that had been raised 8 inches because of a malfunctioning air conditioner. She reported that it only takes a moment of inattention and they can be gone in an instant. Tragically, Mason drowned in a pond in July 2010 after he disappeared from his home. It pains me to hear about such disasters so much that I want to do all I can to prevent more accidents from happening. That’s why I want to encourage parents reading this to look at their homes, schools and other places where their children spend time. It’s important that we find out how we need to change our children’s surroundings. The following are effective ways for preventing wandering or ways to keep them safe in the event that they do manage to get away. 1. If you have a choice of where to live, try to stay away from busy roads and bodies of water. When we bought our condo 10 years ago, I had a choice between one that was right next to the freeway and another that was further from the busy road. Although my son had never wandered before, I knew it could happen someday. So the one furthest from the freeway was the obvious choice. 2. If you are choosing a house, stick with a one-level home. It would be best to eliminate the possibility that your child might escape from a window or balcony and fall from a second or third story. 3. Make sure the child safety locks in all your cars are engaged. Most if not all newer cars are equipped with child safety locks. If yours aren’t, I would either have them installed or purchase a car that is equipped with them. Expensive? Yes, but taking these measures could save your child’s life. I’ve heard too many frightening accounts of children opening the car door while the car is in motion. 4. Teach your child to swim. 91% of children with autism under the age of 14 who wandered from their homes were victims of drowning. These sobering statistics make it imperative that we teach our children to swim. Some YMCA locations offer swimming lessons for special needs children. Check this list to find a location near you. 5. Have a security system installed that sounds an alert when any door or window is opened. You can find inexpensive alarms for the doors and windows at places like Walmart or Radio Shack. Alarm systems from companies such as ADT also come with these window and door alerts. When we moved into our condo, this was one of the first things we did because we knew he might try to escape one day. I wanted to know immediately the moment he ever might try to leave the house. The National Autism Association is also taking active steps to preventing wandering. They provide two door alarms as part of their free Big Red Safety Box for parents who apply. More on this later. 6. Whether or not your child has ever attempted to wander, have locks installed on your doors that require a key to exit. If your child is very young, you may only need a safety chain latch at the top of the door where she can’t reach it. But as she grows older and taller, preventing wandering will probably require new locks. 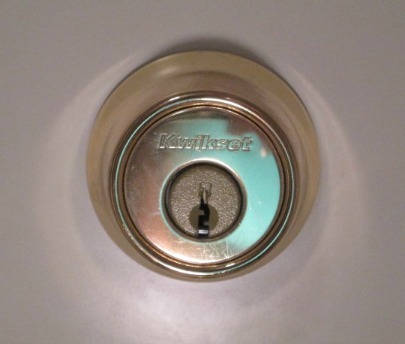 Installing a double cylinder deadbolt is fairly simple and inexpensive, and could save your child’s life. You can buy one at the local hardware store for less than 20 bucks. I’m about as unhandy as the next mom, and I was able to install a double cylinder deadbolt on both our front and back doors by myself (with a bit of coaching by phone from my brother-in-law:-). 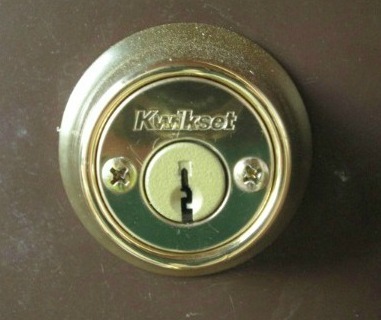 The outside part of a double cylinder deadbolt looks the same as any other deadbolt. The inside part of the double cylinder deadbolt. Both sides require a key to open the door. When installing a double cylinder deadbolt, it’s extremely important to keep an extra key in a special place close to the door in case of fire. Tell everyone in the house (except the child with autism) where the key is located. That key should be removed only in case of fire. We keep our key hanging on a hook behind the coats inside the coat closet right next to the front door. I realize that because of the possibility of a fire that it seems risky not to tell your child with autism where the key is located. But that would obviously defeat the purpose of having this type of deadbolt. We don’t want the child escaping. This is an obvious no-brainer, but I must state this just in case: for safety reasons, NEVER leave a child or teenager with autism home alone. Besides the obvious reasons that the child could be a danger to herself, someone should always be with her to help her out of the house if there is a fire. There is so much to learn about preventing wandering that I ended up with a lot of information, so I'm continuing this article on a second page.